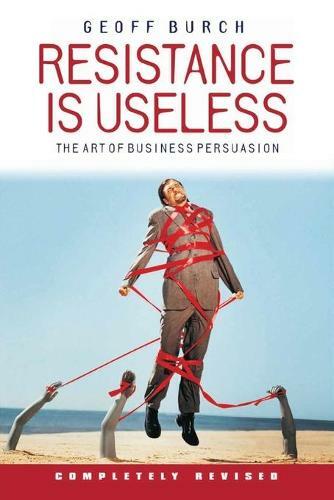 This book will show you how anyone can be persuaded to do anything. Geoff Burch has written a book that will change almost everything you ever believed about business and selling. Combining the quick wit of a stand up comedian with the serious thoughtfulness of a psychoanalyst, he explains the value and power of persuasion -- a verbal martial art that, if used correctly will always give you the outcome you desire in your business dealings. Resistance is Useless will show you how to: aeo Change anyonea s opinion on any subject. aeo Transform a lynch mob into your most devout supporters. aeo Avoid wasting thousands of pounds on customer care while your accounts department is threatening to pulp your customera s fingers with a hammer. aeo Understand how a perfect product demonstration can get you hurled into the street by security. aeo Sell tanks to Genghis khan. Readership: General Business, customer service and sales.